With a string of retailers and restaurants closing down, it has left more than 200 UK shopping centres in crisis mode. Retailers have found it hard to make a profit due to a range of factors, including defaulting retail markets, weaker consumer spending, and rising rents and rates. The closing of major stores such as Toys ‘R Us, BHS and Mothercare, coupled with the continued rise of internet shopping has been incredibly detrimental to shopping centres, particularly in small towns. 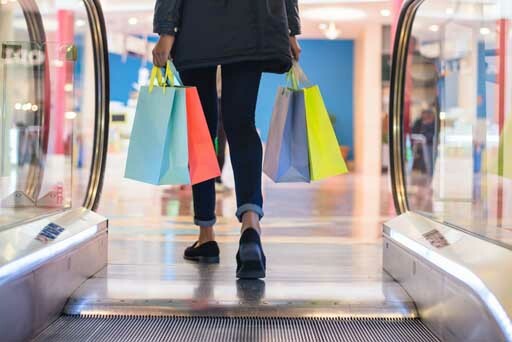 Research by the Financial Times has suggested that around £2.5bn worth of shopping centres and retail parks are up for sale in towns and cities across the UK. Back in January, it was predicted that the UK’s retail industry would “flat-line at best” in 2018 and many retailers should prepare for a survival battle. For those shopping centres that continue to thrive, it’s been necessary to expand their offering. There has been a real shift towards an “experience economy” which means people want to be able to do more than just shop. A lot of shopping centres across the UK have incorporated features like ice rinks, aquariums and indoor ski slopes to try and give consumers more reasons to visit them. While these do tend to be the bigger shopping centres in bigger cities, others need to be things of ways they can attract more customers. “Most of the centres “in crisis” were the subject of deals that are due to be refinanced. The government has announced that they have put together an expert panel to look into the issues affecting the high street and develop recommendations that will help them thrive. And just recently, Philip Hammond announced a business rates cut of one third for sites with a rateable value of £51,000 or less, as part of his budget announcement. Next What does the future hold for the struggling high street?